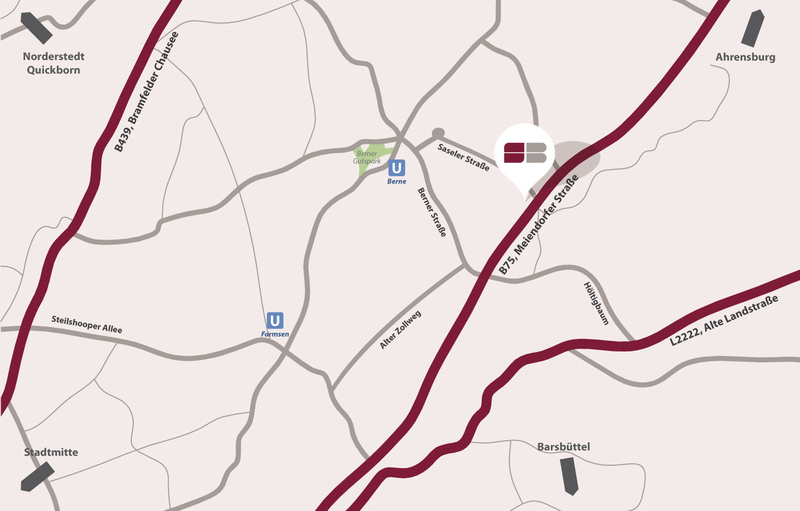 You can reach Meiendorf from the South via A1, exit Stapelfeld. By train from Hamburg&apos;s central station (Hauptbahnhof) to Rahlstedt (RE8/RE80/RB81 line in the direction of Ahrensburg, 4th station, approx. 15 minutes), then by bus (No. 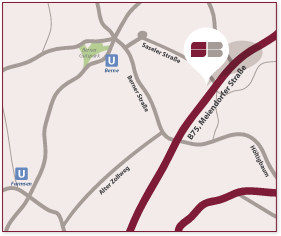 24 in the direction of Niendorf Markt), 5 stops to Saseler Straße.